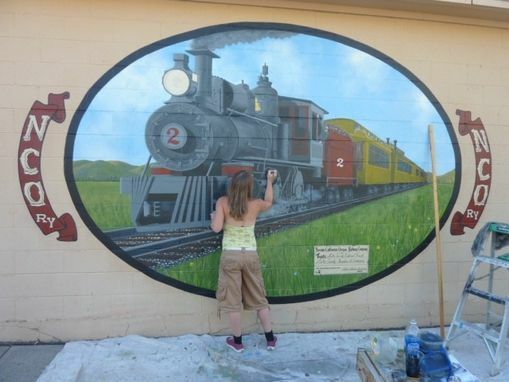 This was a mural that my husband and I did two years ago for the town of Lakeview OR. You too can have a mural on the side of your building or in a room of your house. Lets talk! I painted this with standard outdoor house paint, we used a projector at night to get the image just right, time to complete about a month. Dimensions: This mural is about 12 feet by 16 feet.